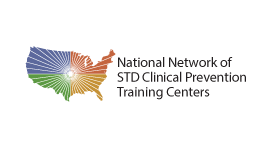 The National Network of STD Clinical Prevention Training Centers (NNPTC) is a CDC-funded group of regionally located Prevention Training Centers (PTC) created in partnership with health departments and universities. The PTCs are dedicated to increasing the knowledge and skills of health professionals in the area of sexual health through a spectrum of state-of-the-art educational opportunities. Within the NNPTC, eight centers provide STD clinical training around the United States. Learn more about the NNPTC and its member organizations.